Effective project managers draw on a wide range of education and experience to get the job done. CE Wilson Consulting Project Manager Cortez Smith combines careers in IT and technical writing with strong leadership and communication skills to work with a diverse range of clients. Take a look at what inspired him to become a Project Manager, his favorite part of the job and much more. Background: Cortez is a Management Information Systems (MIS) specialist with more than 20 years of progressive work experience in the computer technology field. He has worked for Fortune 500 companies including Johnson Controls, Hewlett-Packard, Quantum Corporation, Motorola, and Cognizant Technology Solutions. He holds a BSBA in Real Estate and an MBA from the University of Arizona (UA) where he worked for 14 years (in the College of Medicine Administration and MIS department) and currently serves as the Vice-Chairman of the Alumni Association. 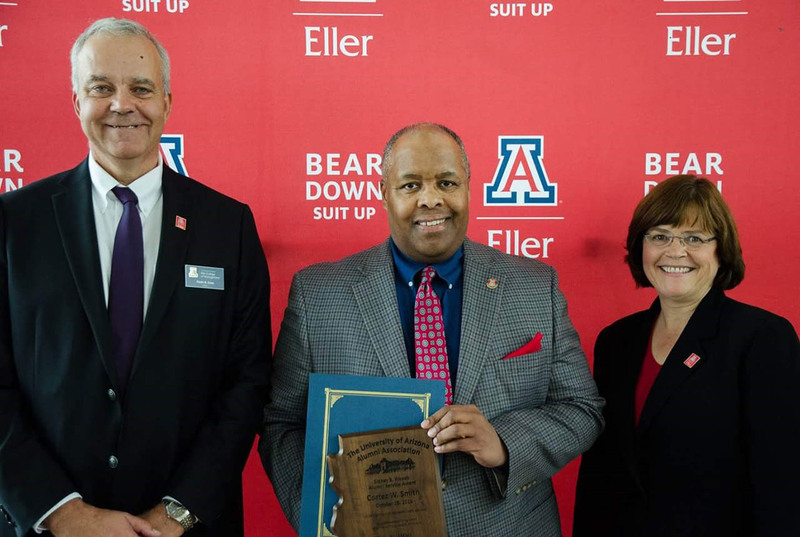 Cortez was recently honored with the Sidney S. Woods Alumni Service Award (pictured above) from the MIS department at UA, Eller College of Management. It is given to an alumnus or alumna who has demonstrated unwavering interest in and loyalty to UA. How did you get into the project management field? I’ve always been very organized and wanted a career in IT where organization was required but did not involve writing computer code. Every job I’ve had has required me to plan out my work, rely on others for information and to achieve a result within a certain time period. Project Management does this and more. 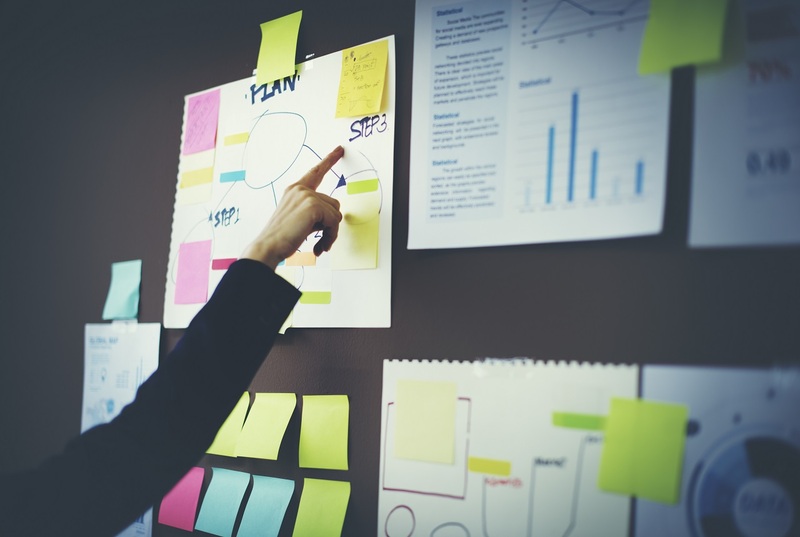 How did you decide project management was the best career path for you? Having volunteered as a Youth Minister and a Junior Bowling Coach as a young adult, I realized I should pursue a leadership role professionally. Project Management allows me to be creative, investigate, document, manage a budget and people in whatever way is best for the project. I started my IT career as a Technical Writer. As a writer, you perform business analysis, interview many technical people and translate very technical concepts into basic thoughts. My ability to communicate and connect with people are my greatest strengths. I’m the person who can strike a conversation with almost anyone. 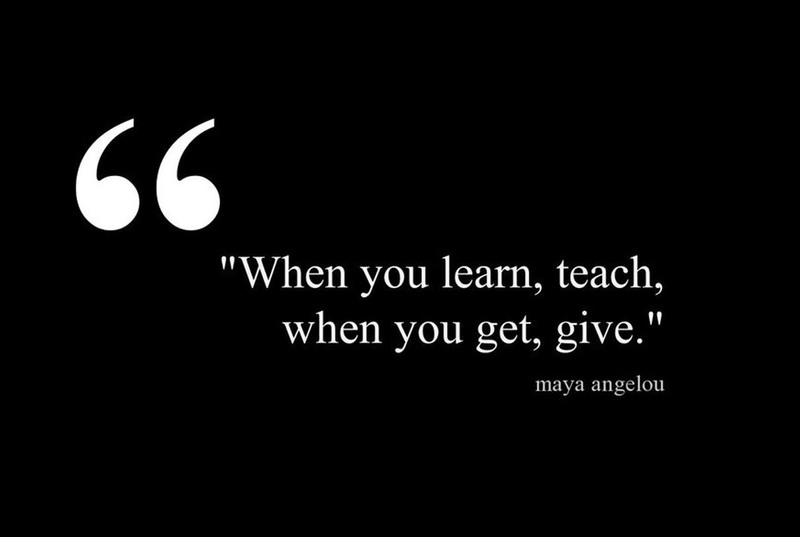 It’s a God-given gift which I use to make a difference in my life and others I come in contact with. What’s the first thing you do every day in the workplace? Last thing? The first thing I do every day is pray, review my email and calendar, and read or watch the business and local news. When I end my day, I check the traffic report, glance at the business news and check my calendar for the next day. What’s your favorite part of the job? Least favorite? My favorite part of my job is completing my weekly status report. This forces me to review my accomplishments for the week, face my shortcomings, and plan my activities for the next week. My least favorite part of the job is harassing others to perform the tasks they are supposed to complete. What do you think is one of the biggest misconceptions about project managers? 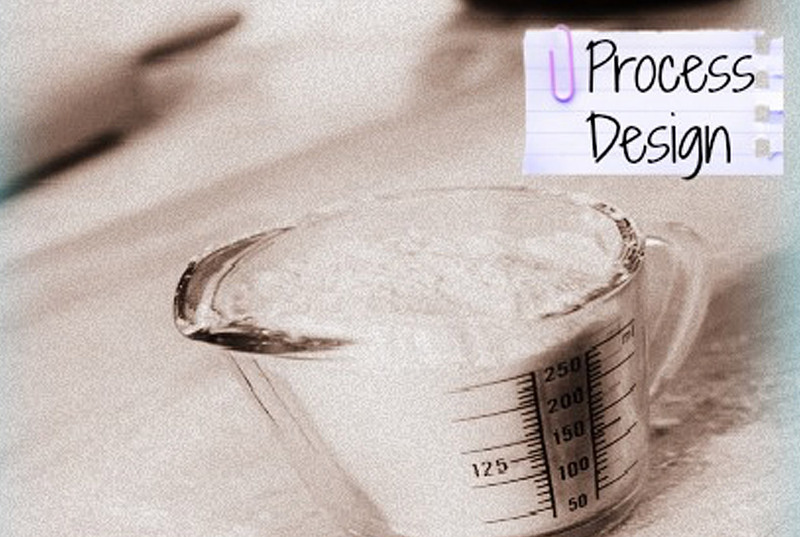 The role of Project Manager is not the same at all companies or all projects. In some companies, Business Analysts work as Project Managers, while others only allow PMI-certified Project Managers to lead projects. Project Managers must manage all risks impacting their projects or programs. They are responsible for creating mitigation strategies, and working with limited budgets and resources. Successful projects almost never run as smoothly as planned. How do you keep calm in stressful situations? My experience in sports trained me to remain calm and focused in stressful situations. I always focus more on understanding the problem. Once you remove the uncertainty and focus on the solution, most of the stress goes away. Most importantly, you must believe in yourself and your abilities. Do you have tricks for motivating a team? Do you want to be a high-performing team? Are you willing to make each other better? If anyone does not answer yes to any of the questions, I politely tell them they should find another group to join. I make it known we are a team. No one is better, smarter, or treated any differently. We win and fail together. So far, it’s worked great for me. Do you have tricks for pushing along a stalled project? I always seek to find out what the obstacles are, escalate the problem to leadership, and request their assistance in removing obstructions. What was one of your biggest professional challenges, and how did you overcome it? Racism has been my biggest professional challenge. My way of dealing with it is treating everyone with kindness, respect and professionalism. I don’t go to work to make friends but oftentimes do. All people have preferences and usually gravitate toward what they are familiar with. I believe once people take the time to know you and understand your experiences, they quickly appreciate who you are and are more accepting of what you have achieved. Helping people overcome challenges they believed were insurmountable. It’s great to see someone adapt to a new business process, appreciate how it has changed their working life and thank you. Knowing I helped someone achieve peace of mind is most rewarding. What three character traits are essential for a PM? Patience, even temperament, and mental toughness. Outside of work, what are your hobbies? I enjoy many different sports: basketball, soccer, bowling, golf and car racing. I also love listening to music (mostly jazz), reading and advising young adults. Community service activities (UA Alumni Association committee assignments and scholarship fundraising events), visiting friends, housework, and reading. Friday. It means once I arrive home, I don’t have to drive to work the next day. What charitable causes do you support and why? I participate in fundraisers for college scholarships, student advising, and community advocacy. I help with college scholarships because I know what it is like to attend college without financial support. Student advising is very rewarding. I am Chairman of the Advocacy Committee for the UA Alumni Association. I assist State Relations in planning events at the state capitol and frequently meet with state legislators.